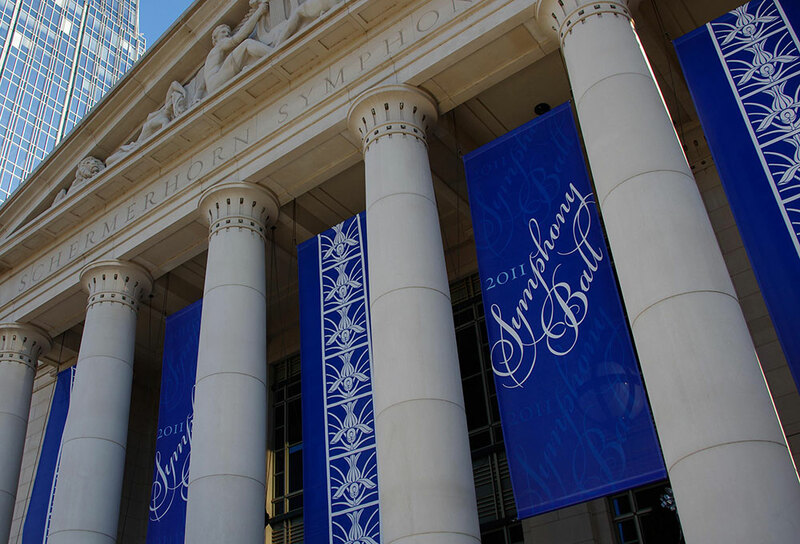 An email arrived from the Nashville Symphony asking if we could handle a basic line illustration of the iris element that appears throughout the orchestra’s beautiful Schermerhorn Symphony Center that could be used in materials for the upcoming Symphony Ball, held each December. 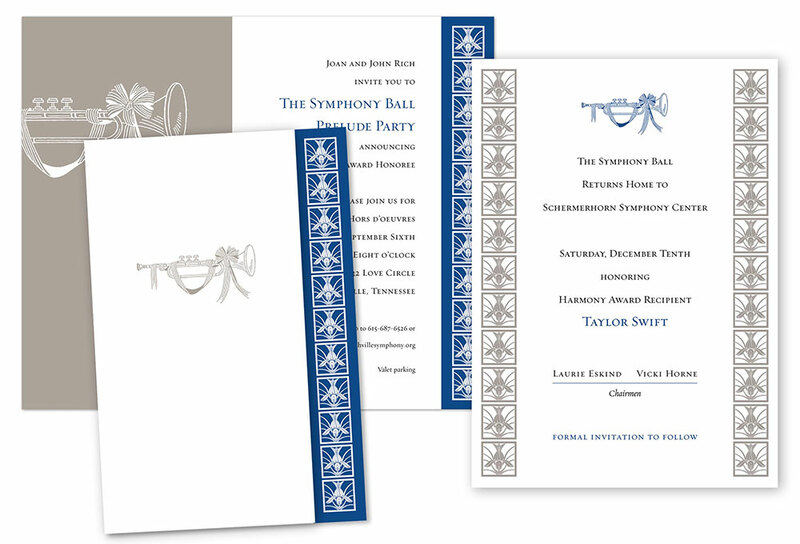 That simple assignment turned into a months-long series of projects for the many events leading up to the Ball. 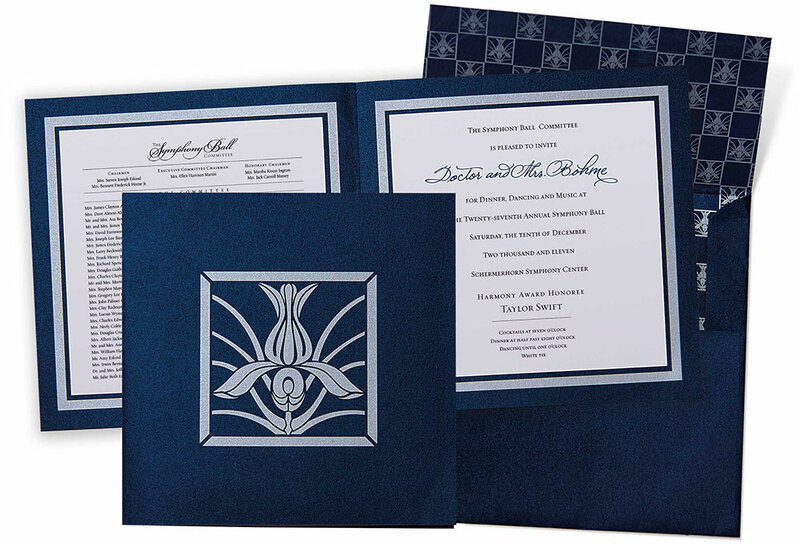 There is no offical logo for the Ball other than a stock trumpet illustration, so we created a typographic logo to appear with the iris graphic or trumpet art on invitations, banners and the Ball program. 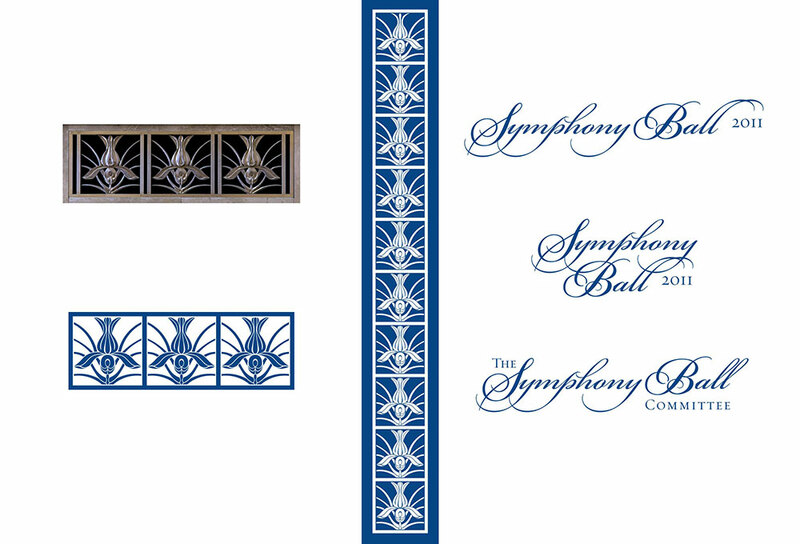 The Ball was a phenomenal success, setting a new high mark for the event.